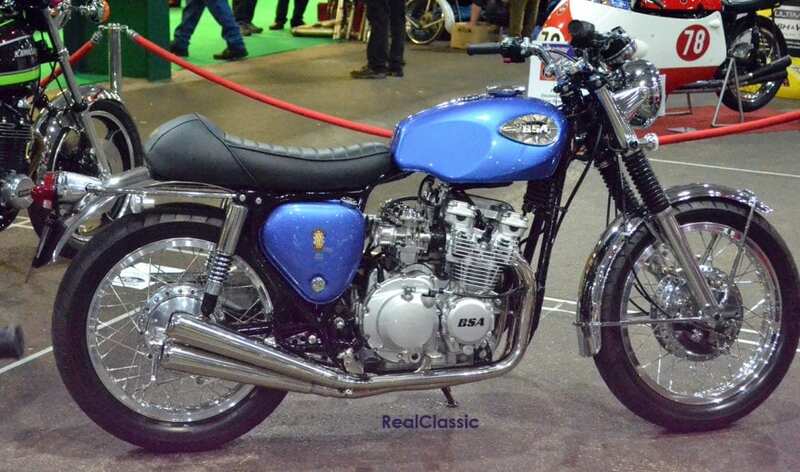 Each year, the line separating classic British steeds from Japanese classics seems to blur a little more, with some vintage Oriental iron now being 50 years old. 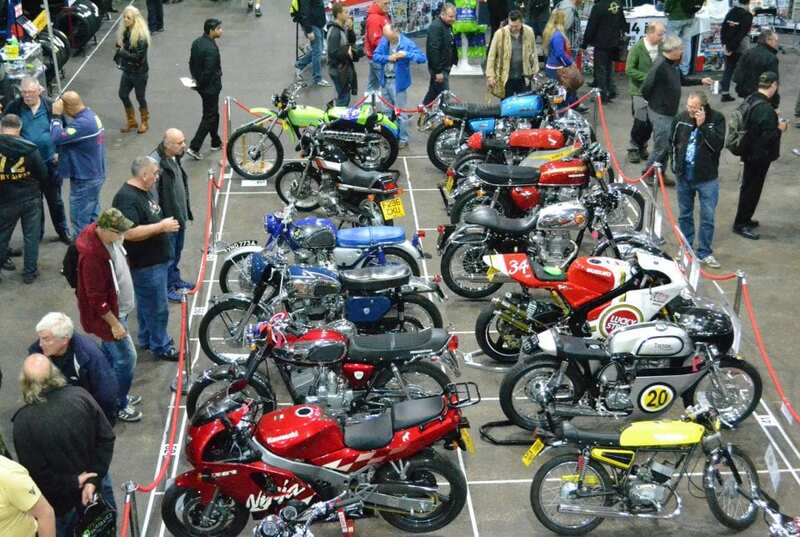 Add in the usual suspects from Italian and German manufacturers, and the result is a classic bike show with something for all tastes… as Morgan Rue found out on an unseasonably warm October weekend. 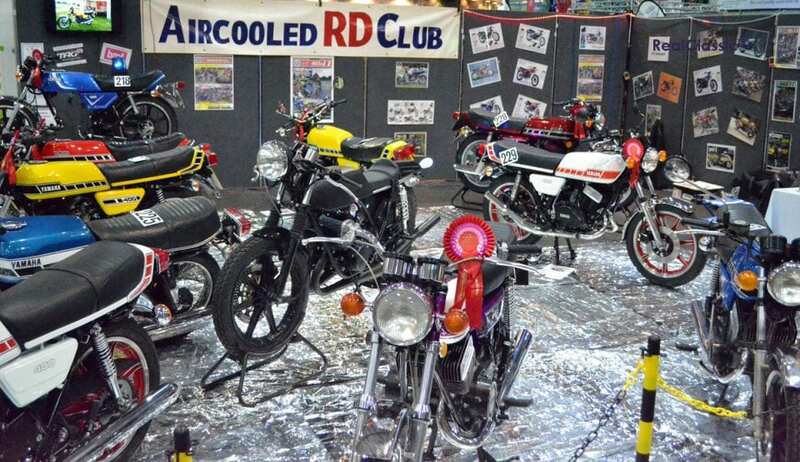 The second of the two Stafford events in the classic bike calendar, the Carole Nash Classic Mechanics event tends to showcase the more modern examples of the movement. 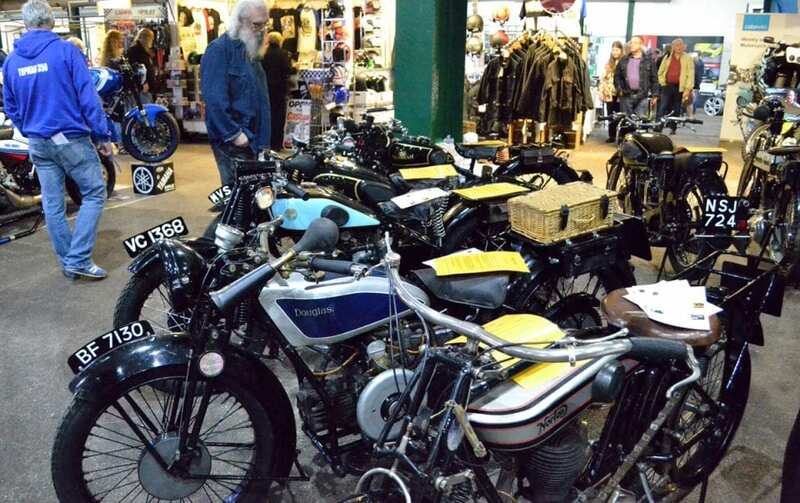 With a greater bias to Japanese machines than in the April show, the October Stafford nonetheless had some outstanding older, British machines also on display. One of the more contentious exhibits (to judge by the Facebook traffic on the subject) was Chris Davis’ 1956 A10. The A10 front frame has been modified to accept a power plant which never rolled out of Armoury Road. (Maybe it should have? Discuss below!). 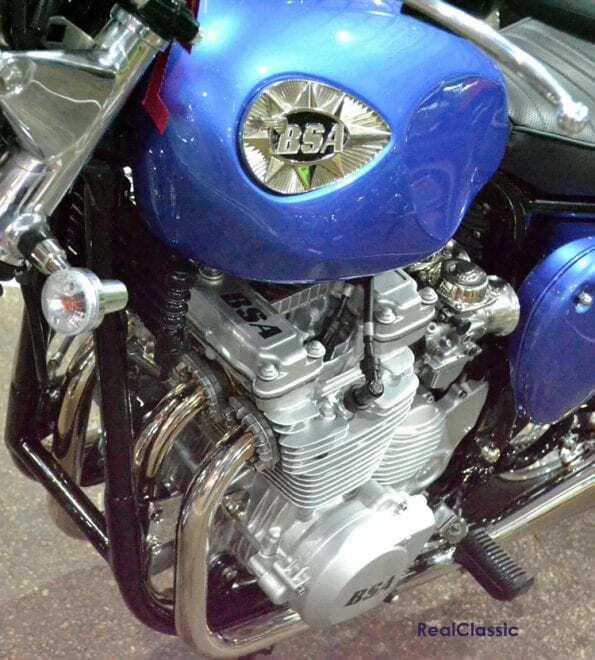 The XJ600 motor dates from 1990, and the bike bristles with neat innovation – and time was taken to transplant logos so the casings look kinda factory. 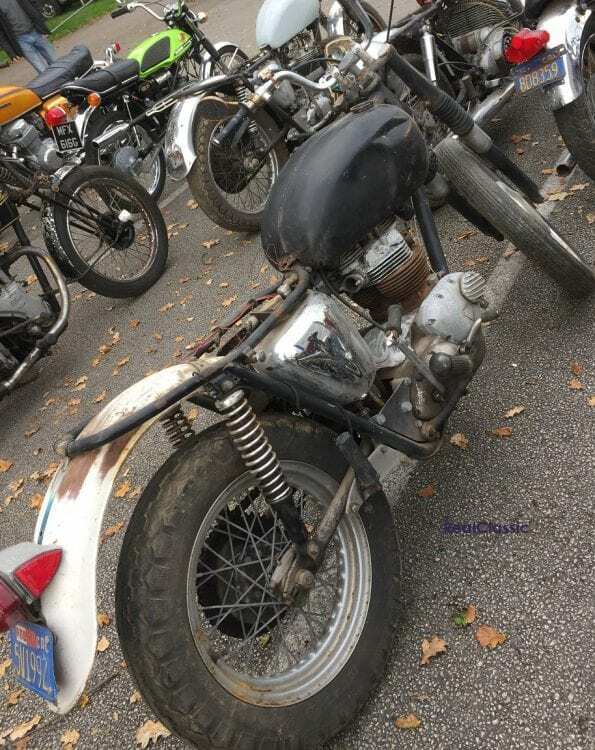 With the BSA name about to rise again from the ashes, this struck me as a timely build… although I found the exhaust headers inboard of the frame slightly ‘different’. 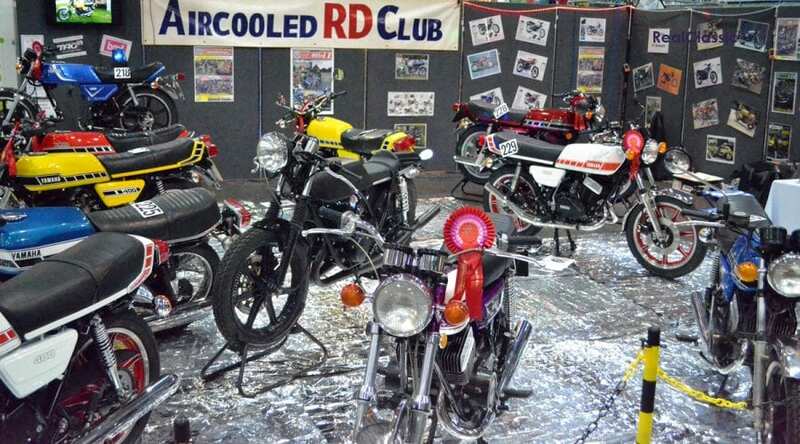 As ever, the club stand prize was highly sought after, and this year it was scooped by the Yamaha air-cooled RD Club, who cornered the world output of Bacofoil to provide a dazzling display. 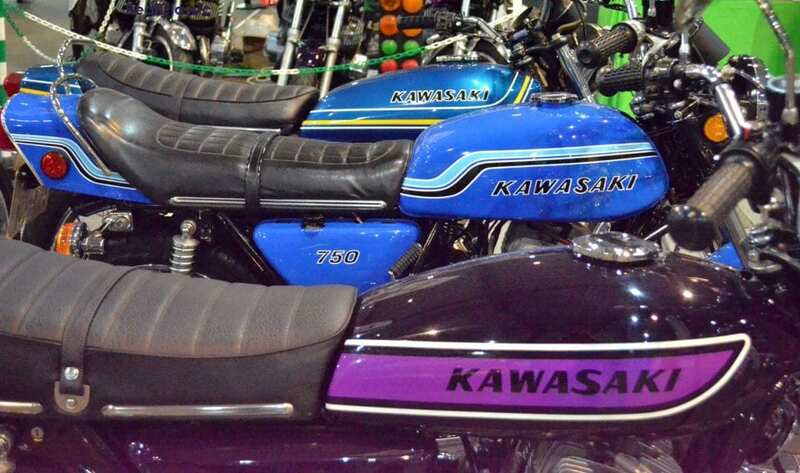 For air-cooled fans, the iconic Kawasaki triples were out in force, including this display of three widow-makers in a row. Put me in mind of Frank Westworth’s books… dunno why. 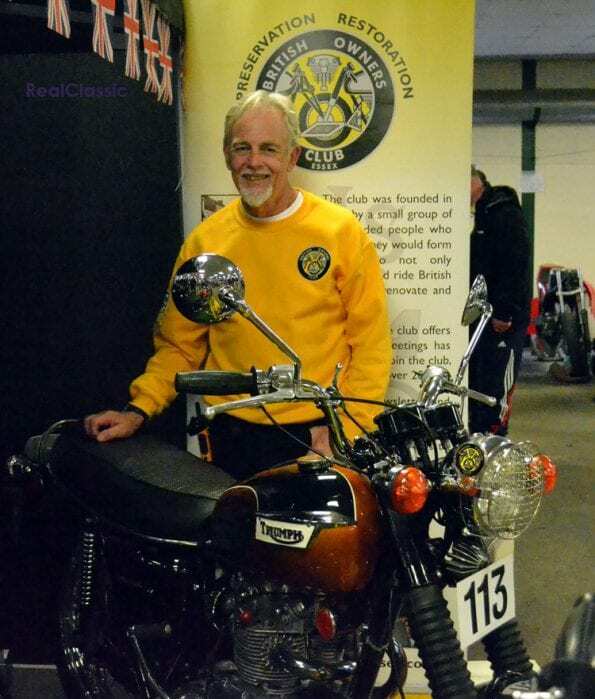 On a more traditional note, the Essex British Owners’ Club had a Triumph Trophy 500 which looked good enough to eat. Not literally (obvs) but such a sweet machine. Owner John is justifiably proud of the nimble middleweight and has traced most of its provenance, from export to the US, to its return to Blighty. Opinion suggested that it may have crossed the pond, remained unsold, and been repatriated. Their loss, our gain! 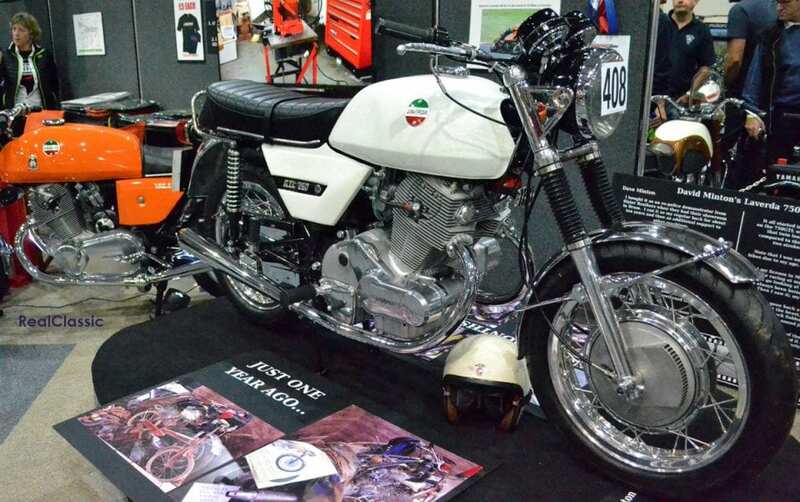 It’s always great to see a bike brought back from the brink, and AndyH’s efforts in restoring this ex-Dave Minton Laverda 750 drew many an admiring glance. 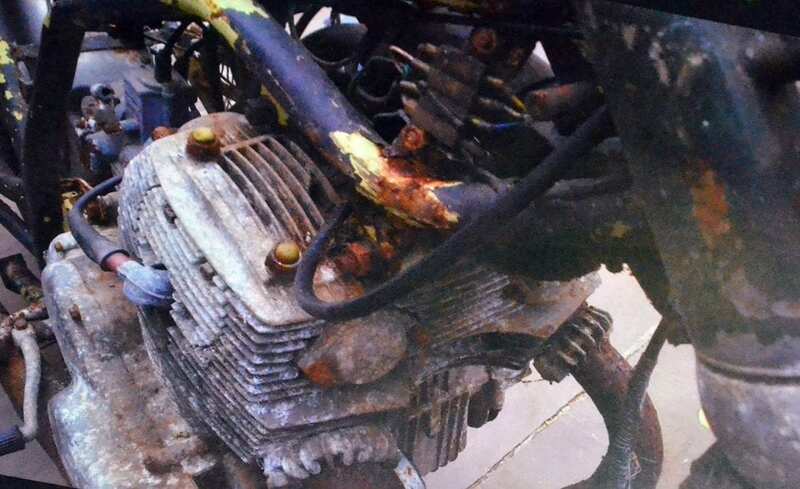 The bike had been left under a tarpaulin for many years, before Andy saved it from oblivion. 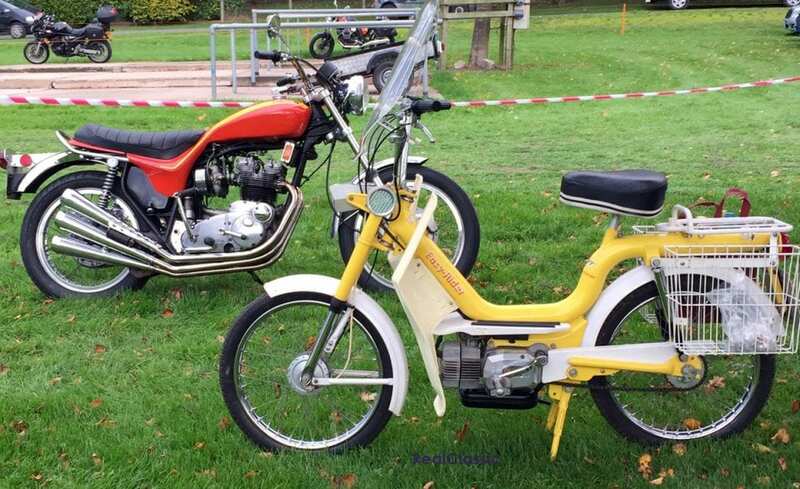 The ‘before’ pictures on display served to encourage anyone to have a go at saving a classic. Top machine. There were plenty of lower budget project bikes around, including this Californian (aren’t they all?) 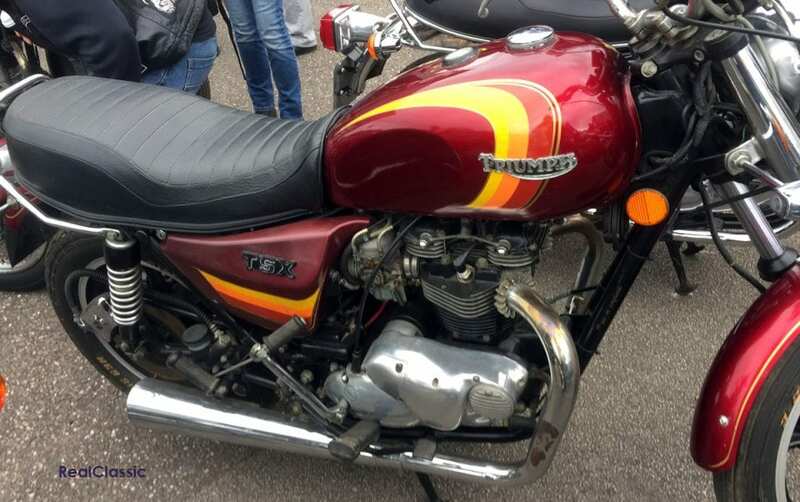 import Triumph twin. 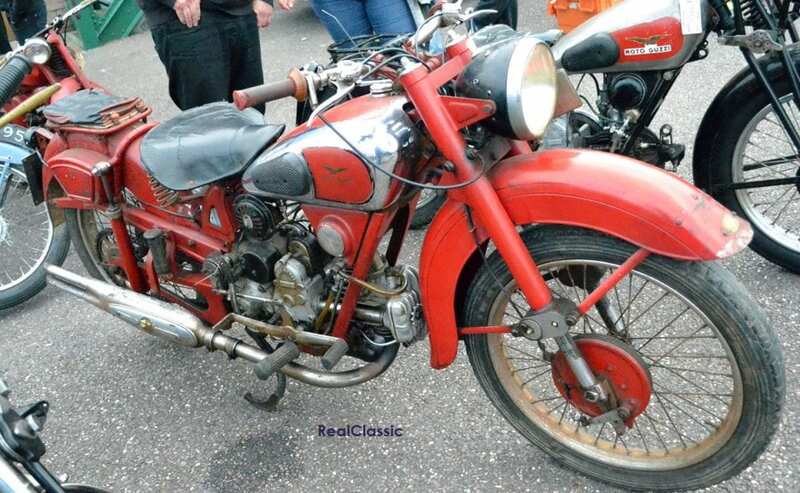 Lacking many original parts, it would have been an uphill slog to get this to concours – but as a rat bobber? Perfectly feasible. On my way back to the car park, I wandered over to the bikes-only parking area. 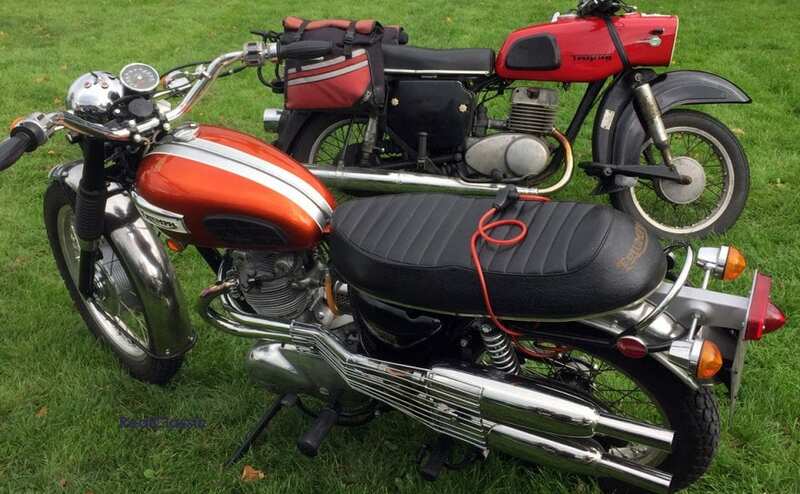 The excellent weather had encouraged a heartening number of riders to chance using their P&Js, and the spirit of the show was summed up by this pair of Trophies, parked side by side. I’ve seen a TSX recently, that was modified to look like a T140D, assuming it was a TSX, it was a bit of an own goal. Ah. Yes. That is a tiny bit… counter-intuitive!